Last weekend at The Midland Arts Centre in Cannon Hill Park went really well. It was so good to see so many of my favourite Birmingham makers altogether. I'll be there again on Sunday. The day before on Saturday 27th, I'll be at the Handmade market- just behind the Bullring and adjacent to the Birmingham Rag Market. I'll be a little larger than usual, as I plan to be wearing all of my clothes plus a good layer of hot water bottles! It's going to be proper chilly! 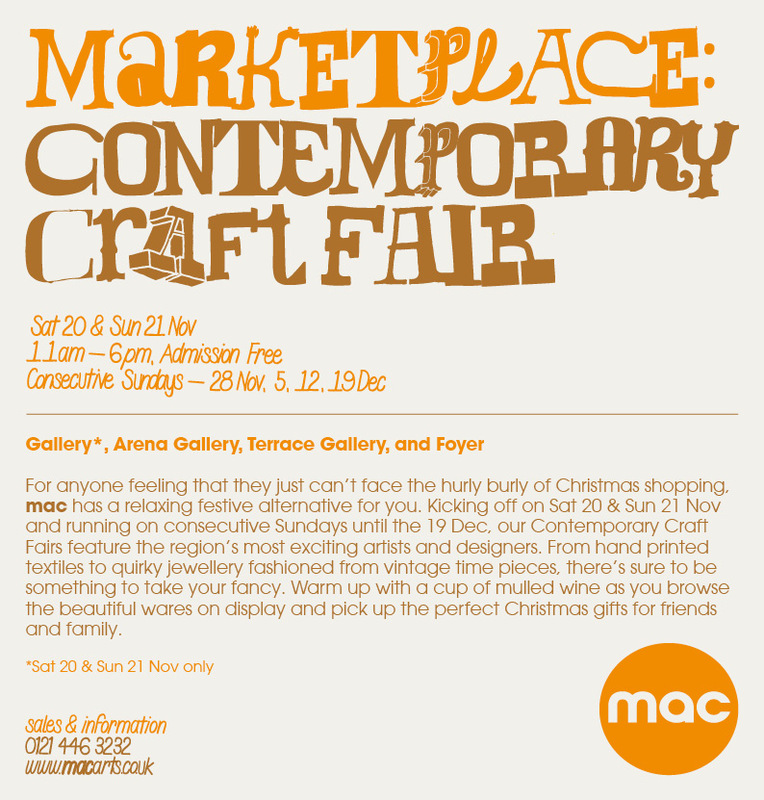 Then, from December 3rd-5th, I'll be off to South Wales for the 'Made By Hand' show. 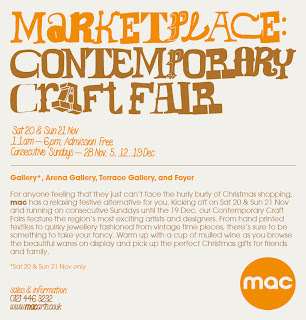 This is a new Craft event, organised by the same people responsible for the Summer show in Bovey Tracey. It should be a great show, with lots of exciting work to see!